Perfect for mixing, pouring, and storing batter for cakes, pancakes, crepes, waffles, and more. 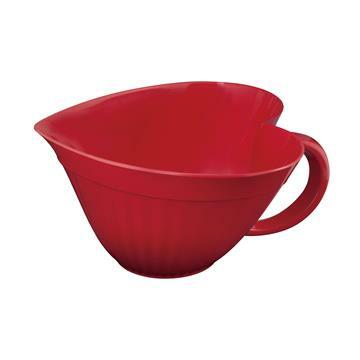 Large sturdy handle with wide spout for easy pouring. Size: 10 3/4" L x 10 1/4" W x 5 1/2" H, 3 qt.